If leafy greens where crowned king of the nutrient kingdom then mushrooms would have to be ordained queen as an equal ruler. The antioxidant and fiber concentration is one of the highest in the fungus and plant kingdom. Wild rice, a Midwest original, adds its own nutrient power with its high levels of minerals and B vitamins. This low calorie, yet hearty, meal contains a vast array of nutrient strength served in a soup bowl. There are several approaches for cooking this meal. Choose the one that best fits your schedule and available resources. Many dried mushroom varieties are available at the local grocery store and when incorporated into a dish lend both their nutrients and their hearty flavor. Soak the mushrooms in 1 1/2 cups of warm water for 30 minutes to rehydrate them. The water will become a dark golden color which can be used for stock. If you do not wish to purchase dried mushrooms replace them with 8 oz. of fresh mushrooms. This recipe calls for portabella mushrooms but any mushroom type will add its own unique flavors and can be substituted in. 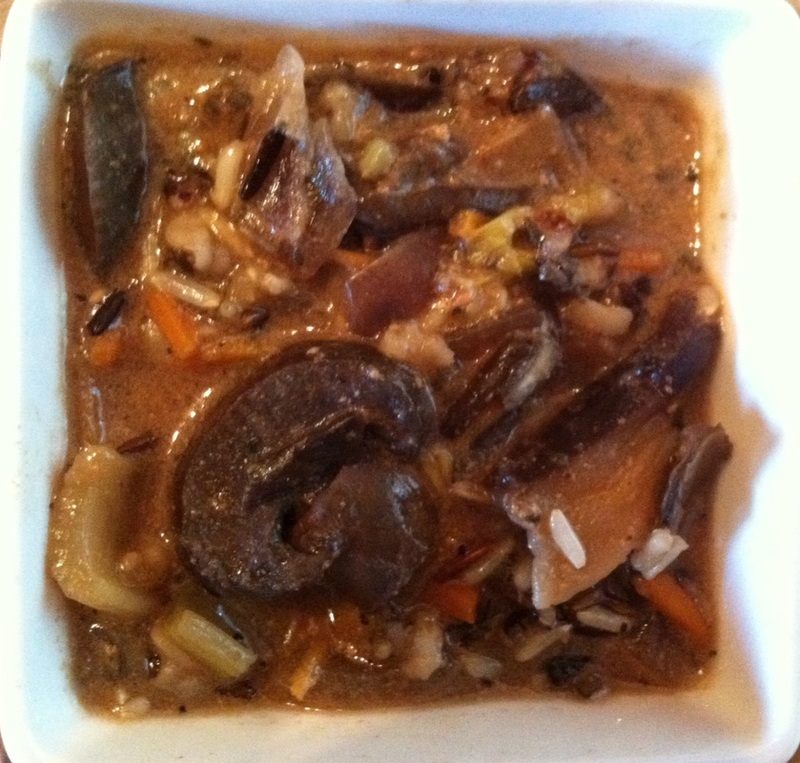 If you decide to use fresh mushrooms in replace of dried add 3 cups of vegetable stock instead of 2. If you do not have a dry white wine on hand you can replace this with vegetable stock as well. All modifications will produce a different flavor but none that will disappoint. Directions: If using a crockpot put all ingredients into the slow cooker and heat on low for at least 6 hours. If cooking on the stove heat one tbsp. of cooking oil on medium in a large pot. Chop and add the onion and garlic and sauté until softened. Next chop and add the carrots and celery, salt, pepper and the Italian seasoning. Stir to combined. Once softened add the mushrooms and rice along. Allow to sauté for several minutes. Finally add the liquid, yogurt and corn starch and stir to combined. Bring to a boil by increasing the heat. Once a boil is reached turn the heat down to low and allow to simmer for at least an hour.